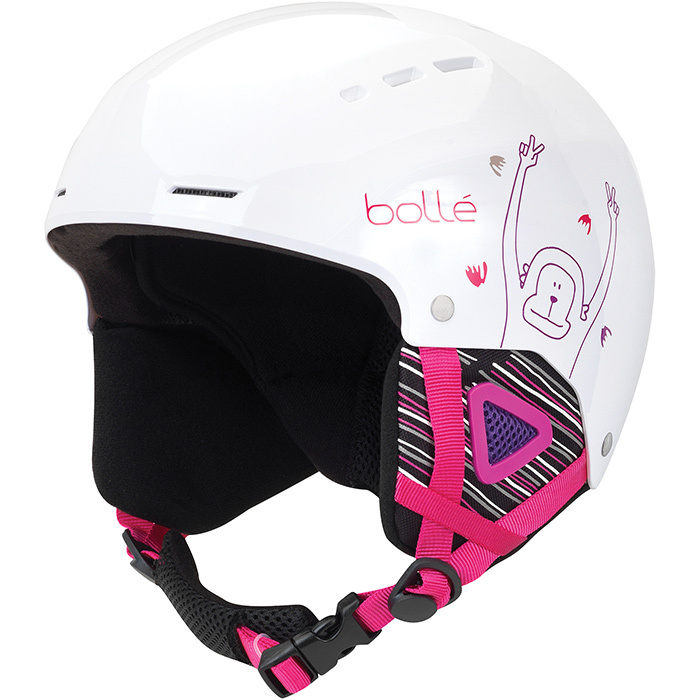 "Our most robust helmet for kids, its a great choice for fearless youths. The durable and tough ABS hard shell sits on top of an EPS liner to provide good protection against impacts and sharp objects. The air Extractor vents keep the head cool and the Click-To-Fit system provides great comfort to adjust the size as the kids grow. Detachable, washable lining. Removable earpads. Injected ABS, Air flow extractor. Integrated ventilation. Weight: 1.146 lbs. Kids Inuk Pink Goggle, item #513580 works great with Quiz kids White Helmet, item #513602. Kids Inuk Black Goggle, item #513581 works great with the Quiz Kids Black Helmet, item #513603."